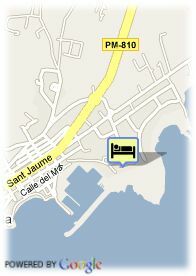 Salvador Camacho 9, 07840 Santa Eulalia del Rio, Spanje. 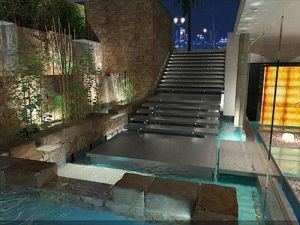 The new Aguas de Ibiza Hotel, Spa and Resort is a new concept of luxury 5-star hotel with 114 rooms, invented and managed by the Torres as expression of adoration of Ibiza and meanwhile a bet for a different luxury touristic offer aimed to the most exclusive segment which looks for the most unknown and charming place of Ibiza. Located in Santa Eulalia del Río at a small distance from Ibiza, the hotel is situated next to the new palace of congress, fact that turns it into the ideal place to hold any kind of events, such as congresses, reunions, weddings etc. The hotel also disposes of the most modern facilities in order to hold any kind of events, completing the congress palace offer. For those who look for the most refined leisure time, the hotel disposes of a magnificent restaurant where you can taste the traditional cuisine of Ibiza without declining a touch of modernity. For the night time, the hotel disposes of chill out, Air Ibiza, and a drinking bar, the Scuba Bar. Visa, Maestro, Mastercard, American Express, JCB, Switch.